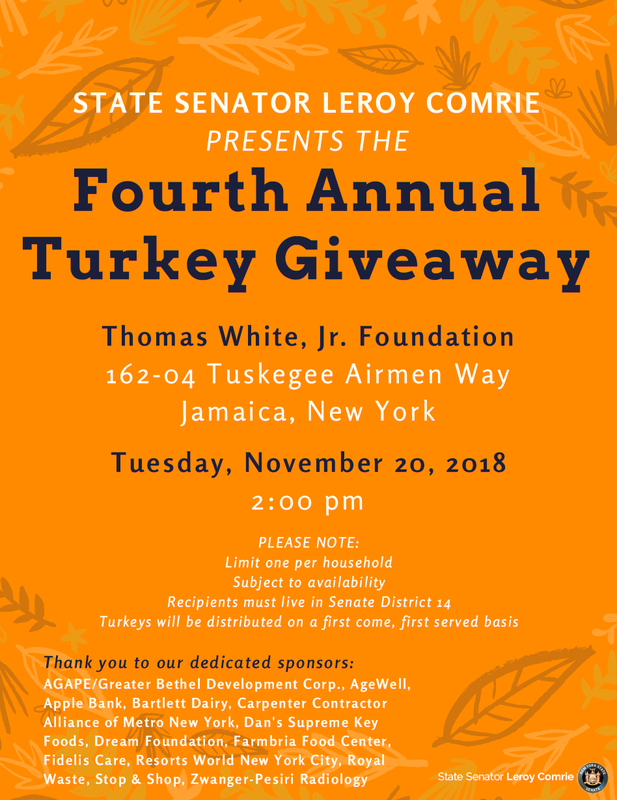 For the fourth year, State Senator Leroy Comrie is hosting a turkey giveaway before Thanksgiving. The giveaway is in conjunction with local businesses and nonprofits. The frozen turkey will be given to local families in need. Please note that there’s a limit of one per household, and it’s subject to availability. Recipients must live in the 14th Senate District.